I shared this story of my journey into herbalism in my most recent newsletter and was floored by the like-hearted responses from people across the globe. So many of us are feeling the call to follow an instinct of deeper healing, to get to know the plants by name, to reconnect with the multidimensionality of our world. Once upon a time all I had were my dreams, and a vague notion of what “herbalism” even was. The start of any path is always the hardest but most transformative part, and when I look upon my own humble beginnings in one of the toughest cities in the world I’m filled with something close to awe. If you’ve been feeling the bone deep ache to immerse yourself further into the green world, read on. 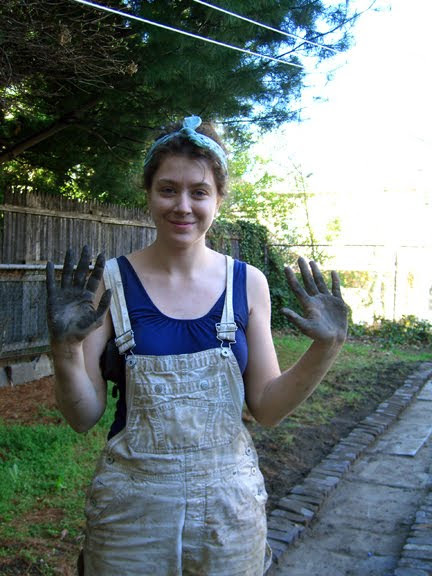 Check out this free Handcrafted Herbalism course (that I am simply delighted to be a part of). And just know– that you aren’t alone. I was living in a windowless room in Brooklyn when I first heard the call to study herbs. At the time I was taking care of office plants in Manhattan. I was technically considered a “plant technician,” and to this day I’m convinced this job only exists in a place like New York City. I spent most of my days dusting, watering, pruning and engaging in 30 second conversations with the people who worked in the offices. The job itself was grueling, but I was happy to be close to plant life, any plant life, amidst the concrete jungle. I made it my personal mission to rescue every sad land-fill destined pothos and marginata and bring them back to my tiny apartment to nourish them back to health. 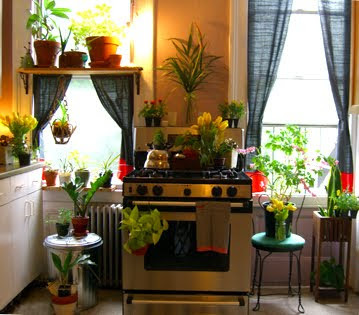 Thinking of that one kitchen window, filled with plant light, still makes my heart sing (see picture below!). I knew I loved plants. I knew I wanted to be close to the earth. I knew there was something inside of me that was aching. But beyond that, I had no idea where to begin. They call the kind of apartment I lived in a “railroad”, one skinny length of space with a middle room that was more a hallway than anything else. But the middle room was my room. And even though I didn’t have any windows, or doors, I did have a very dark place in which to sleep and dream. And dream I did. I can’t remember whether it was a single morning, or a wave of mornings, or even a cascade of nighttime insights, but one day I woke up and just knew – I needed to study herbalism. At the time, I didn’t even really understand what that meant. If someone had asked me what a tincture was I probably would have drawn a blank. But I recognized a kind of wail inside of me, a high keening sound that was a call to deepen my relationship to the world around me. An insistence upon deeper healing that gnawed at me day in and day out. And once I had the dream, I couldn’t stop dreaming it. I wanted to know what it would be like to step outside my door and be able to see medicine everywhere. 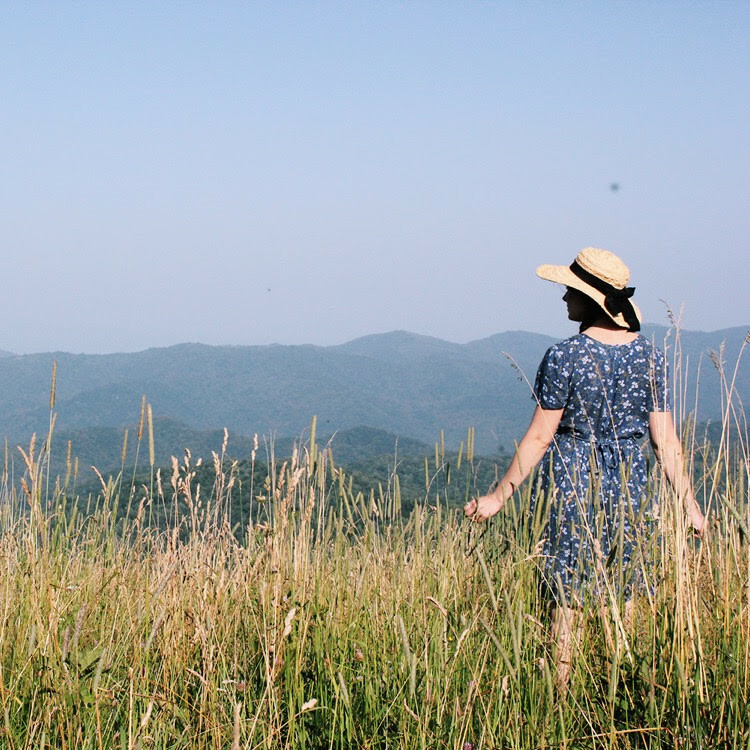 What it would feel like to be able to gather healing from hilltops, to interact with the world from a place of such reverence and interdependence and knowing. To understand how to heal myself with the things that were wild and free. To touch medicine with my own two hands. If I’ve learned one thing in my time on this planet, it’s that the scariest, most dangerous, most thrilling thing on earth is to say YES to your dreams. But it’s the most rewarding, too. After many months of scheming, dreaming and searching I found the website for The Chestnut School of Herbal Medicine and I just knew— this was where I wanted to learn. So a year later I closed an entire chapter of my life, leaving behind work, friends and a long-term relationship to begin anew down in the mountains of Appalachia. It was terrifying and thrilling, but I never looked back. Because ahead of me, lining the path, and underneath every step of the way was a new plant to be met. When I began to study herbs in earnest, my entire life changed. Fresh perspectives, profound healing, a whole new awareness of the world. But perhaps the most revolutionary aspect of my education was what it changed within me. I often say that plants are gatekeepers, and when I started to study herablism in earnest I began to understand myself on such a deeper level— who I was, why I was here, what I was meant to be a part of. I become an herbalist and the gateway to the rest of my life swung open before my eyes. For the past two years I’ve been a part of helping the Chestnut school to create an online training for those who feel the same call (so you don’t have to uproot your entire life to study plants! ), and I am so deeply excited to announce that their in-depth Herbal Immersion Program is going live next month. In celebration of this monumental offering, the Chestnut school is offering a FREE online mini-course called Handcrafted Herbalism where you can learn about the three foundations of herbalism: Botany, Wildcrafting, and Medicine making. If you’ve ever felt such a nudging, an inkling, a dream or a wail, come join us for this free mini-course and say yes to that ever-knowing aspect of yourself. On a deep level, we always know what we need to expand and heal. 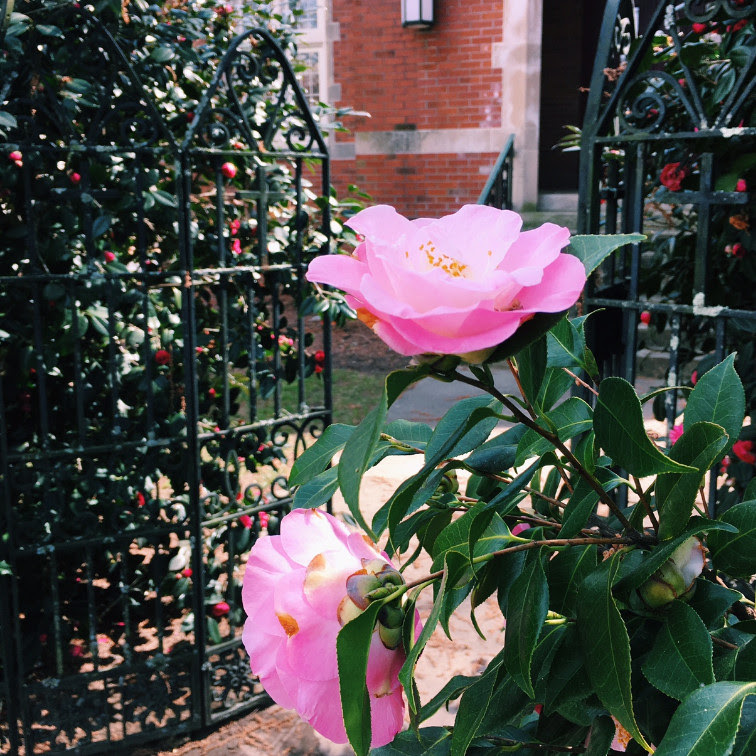 Come begin your studies and let the plants open a new gateway in your life. Thank you for witnessing me in my story. May your own green path be BLESSED. I spent 3 years as a ‘plant technician’ in a teeny town in Arkansas and have met others in other cities…the ‘plant ladies’ are quite a force!! Green thumbs do not always need land under their feet. Like you, it was not enough to satisfy my ever growing passion. Originally from the Alleghenies, I have found my way back home geographically as well as botanically. Loved reading your story; thank you. Oh, how cool Dabney! I have never met another Plant technician outside of Manhattan so this is revelation for me. Thank you for your lovely comment and warm hearted words. Blessings! If only all young people, could have the vision and strength, to follow their dreams. ❤ Thank you for your warm words Tessa! Asia I was quite moved by your recent post about the call to work with our Green Nations. So inspired I ordered your lovely Fresh Sap and signed up for the free e-course to Jumpstart my own work in with herbs again! I’m so glad I found you out there- like hearted folk who gently steward the land are my soul sisters and brothers. I thank you for what you do and share 🙂 Spring Blessings! Lovely! I am grateful for the connection. Sending many blessings your way Stephanie! I just signed up ! How wonderful! Thank you for the amazing gift!